OTTAWA, Oct. 11, 2018 /CNW/ - Kinaxis® Inc. (TSX: KXS), provider of RapidResponse®, a leading cloud-based supply chain management solution based on concurrent planning, has named Andrew McDonald as Chief Product Officer. In this senior executive role, McDonald will leverage his extensive experience to scale product management, software design, research and development, quality, certification, and documentation with a focus on further accelerating Kinaxis innovations for the market. "We are excited to welcome Andrew to the senior management team at Kinaxis. 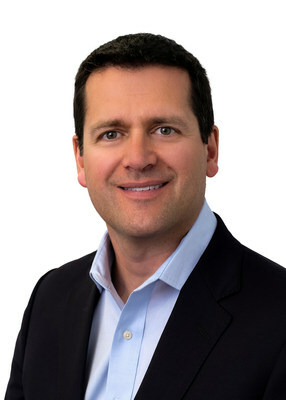 His pedigree in leading high-growth diverse product teams and creating a culture of engineering excellence will help us to grow our industry-leading product portfolio, and will further accelerate our efforts towards establishing RapidResponse as the standard platform for concurrent planning," said John Sicard, Chief Executive Officer, Kinaxis. "Andrew's proven track record in growing and leading large-scale product organizations will be instrumental as we continue along our high-growth trajectory." McDonald has more than 0 years of experience growing software businesses by building innovative and creative product teams that produce industry-leading solutions for customers. He comes to Kinaxis having held numerous leadership positions at technology companies including President of the Platforms Business Division at Alcatel-Lucent, where he led the $1B/year business in software focusing on innovation and the move to the cloud. As Chief Product Officer of venture capital backed CENX, McDonald helped guide the cloud-based software company to a successful exit via acquisition by Ericsson. McDonald shared, "Kinaxis is a leading brand boasting significant momentum across a wide range of industry verticals, helping many of the largest and most complex organizations take better control of their supply chain operations and realize new heights of business efficiency. It's an honour to join such a great and growing company. I look forward to leveraging my experience leading product teams in high-growth businesses to continue to innovate and stay well ahead of the competition." McDonald will work from Kinaxis' Ottawa office, reporting directly to John Sicard. Offering the industry's only concurrent planning solution, Kinaxis is helping organizations around the world revolutionize their supply chain planning. Kinaxis RapidResponse, our cloud-based supply chain management software, connects your data, processes and people into a single harmonious environment. With a consolidated view of the entire supply chain, you can plan expected performance, monitor progress and respond to disconnects when reality hits. RapidResponse lets you know sooner and act faster, leading to reduced decision latency, and improved operational and financial performance. We can prove it. From implementation to expansion, we help our customers with every step of their supply chain journey.